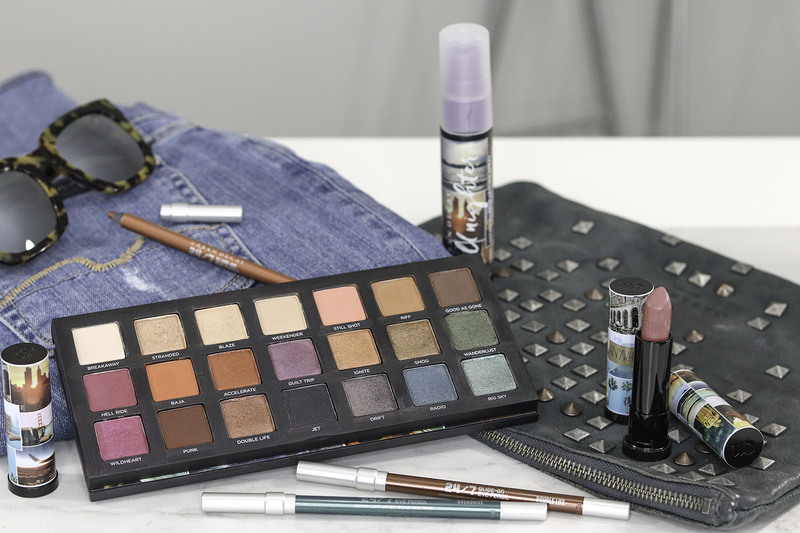 The Urban Decay Born To Run Collection includes a 21-shade eyeshadow palette; three limited edition, NEW Vice lipsticks; three 24/7 Glide On Eye Pencils; and a limited edition travel sized All Nighter Setting Spray. 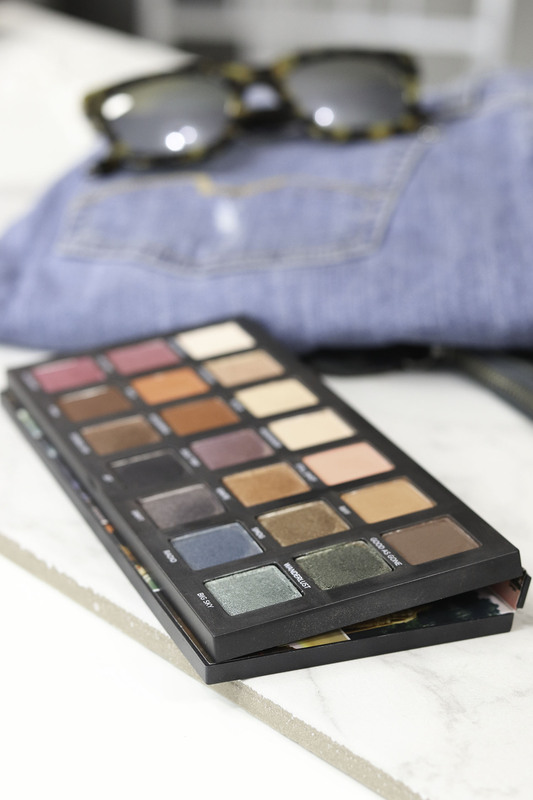 The overall idea behind the palette is to simplify makeup-packing travel by putting EVERY POSSIBLE SHADE of eyeshadow you could need into one sturdy, universally flattering palette with a conveniently huge mirror. The lipsticks and eyeliners are also created to suit a multitude of looks created from neutral to bold – whether you’re super fair-skinned or the deepest of dark. My initial impressions when I opened the Born To Run palette was how sturdy the packaging is. 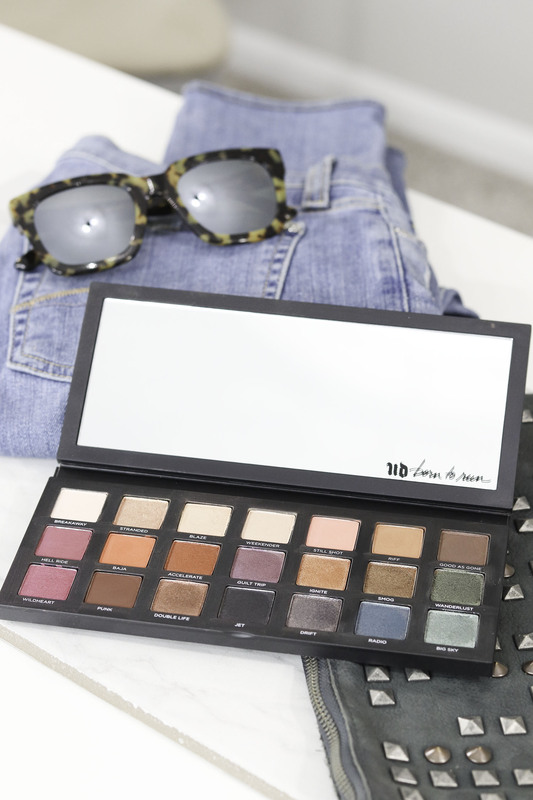 This palette is built for travel! It’s a solid plastic with clean lines and little excess packaging (e.g. they didn’t waste space including a place for a brush or liner like with the Naked palettes). 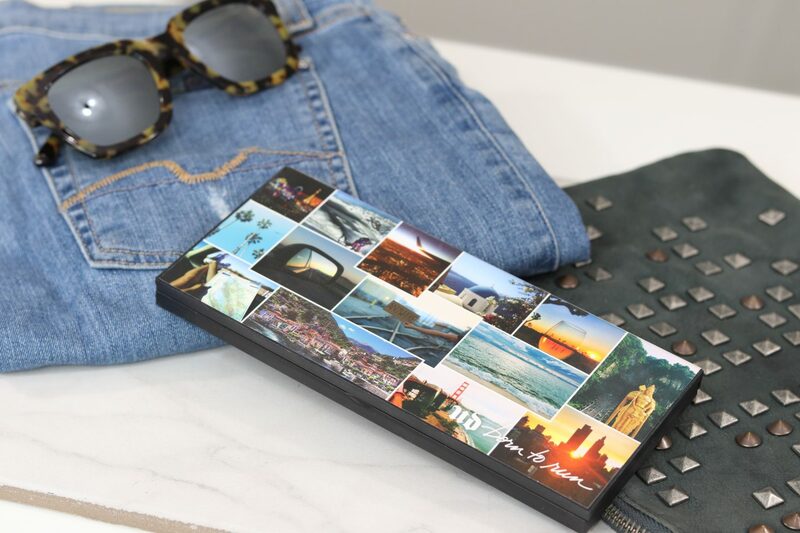 I love the travel-themed design with the montage/collage of vacation photos (that are apparently REAL travel pics from Urban Decay staffers!). It’s got a very mature yet edgy style. The massive mirror they included is the first eyeshadow palette mirror I felt was large enough to really allow me to do my full face without needed to grab another mirror. It’s not ‘cheap/warped’ either. It’s a great quality mirror with excellent clarity. You can completely fold the palette over and hide the mirror in the back if it’s easier for you to work that way, and the packaging allows the shadows to stay nicely propped up for application. My favorite every day shades that I keep reaching for are Breakaway, Stranded, Still Shot, Riff, Baja, Smog, and Punk. Those shades will give you basic, bronzey/warm-toned looks. I played with the more colorful shades and although I won’t use them as often, I find them totally wearable and easy to work into a neutral look if you want to have a little fun on the outer corner of the lid or lower lash line. 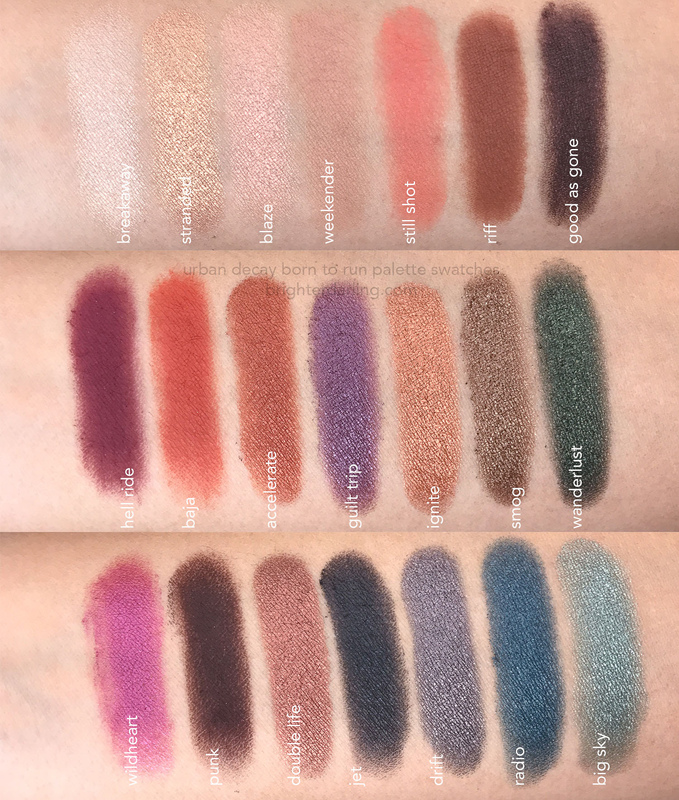 They all apply as you would expect from Urban Decay… pigmented and intensely saturated color that stick to the lids with ease. If you’re into colorful looks with a smoldering intensity, you’ll love these colors. It’s easy to achieve a berry/sunset look, a traditional smokey/grey/black eye, or a cool mermaid-inspired aqua-marine look… plus everything in between. The palette is permanent and retails for $49 – which I find to be an INCREDIBLE value for 21 shades. You can find it in Sephora, Ulta, Macy’s or Urban Decay stores. The three limited edition, Born To Run Vice lipsticks include a matte, mid-tone mauve (66); a metallic rose/berry sparkle (Ready? ); and a matte, vampy deep grape (Marfa). 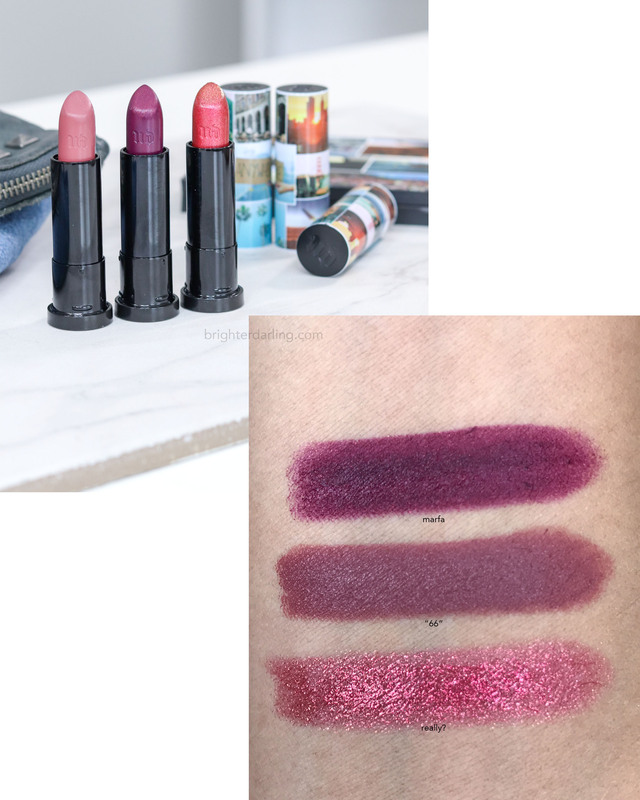 All three are creamy and pigmented just like all Vice lipsticks I’ve ever tried. 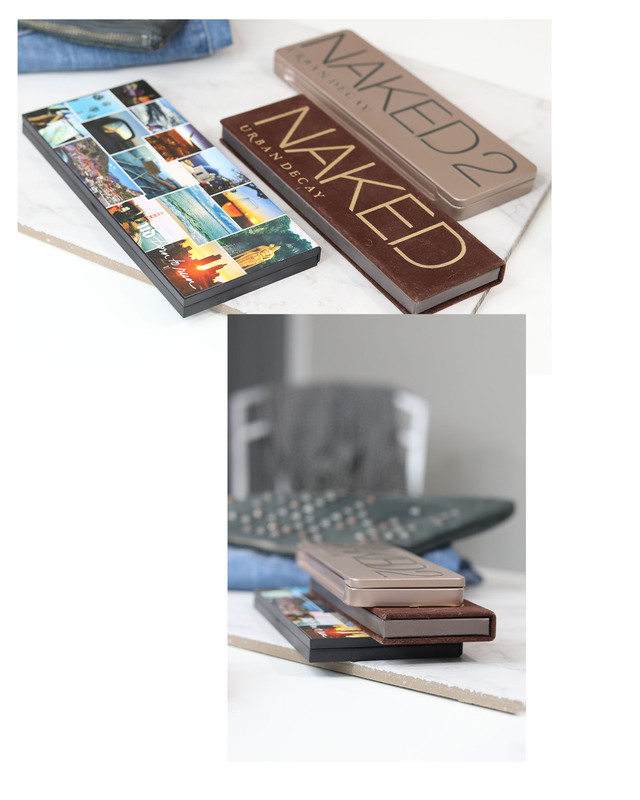 The lippie tube is unique to the collection with the same collage-style travel pics adorned on it in standard plastic, Urban Decay packaging. My favorite shade is actually Ready?. I thought I’d immediately gravitate to 66 being the most neutral, but I found that shade pulled a little too dark on me and Ready? is a fun color that I didn’t think was too intense. The Vice lipsticks have very good wear time on me, with eight-hour wear… even longer if I use a lip pencil. These retail for $18 each. 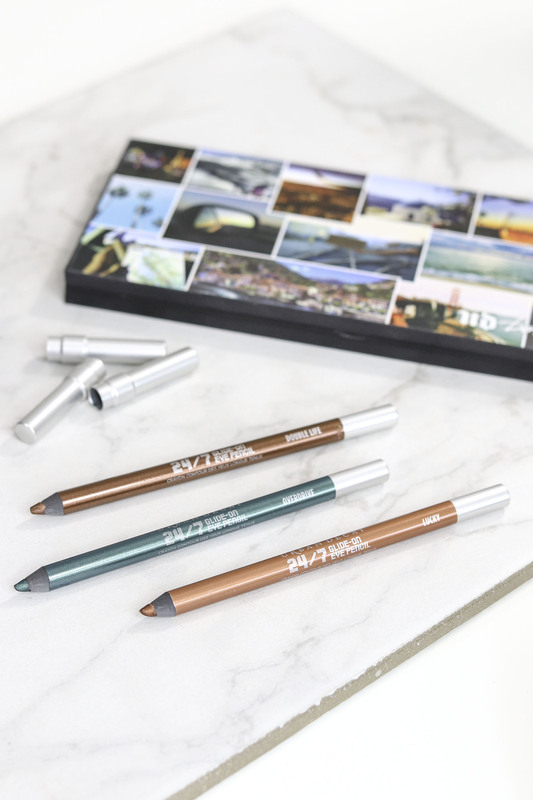 The eye pencils included/featured in the Born To Run collection are a metallic reddish-brown (Double Life), a metallic deep green (Overdrive), and a metallic dark copper (Lucky). The 24/7 pencils are known for their intense colors and longwear. They apply like butter and can be smudged out within 30 seconds… but will set after that and last all day (or longer). 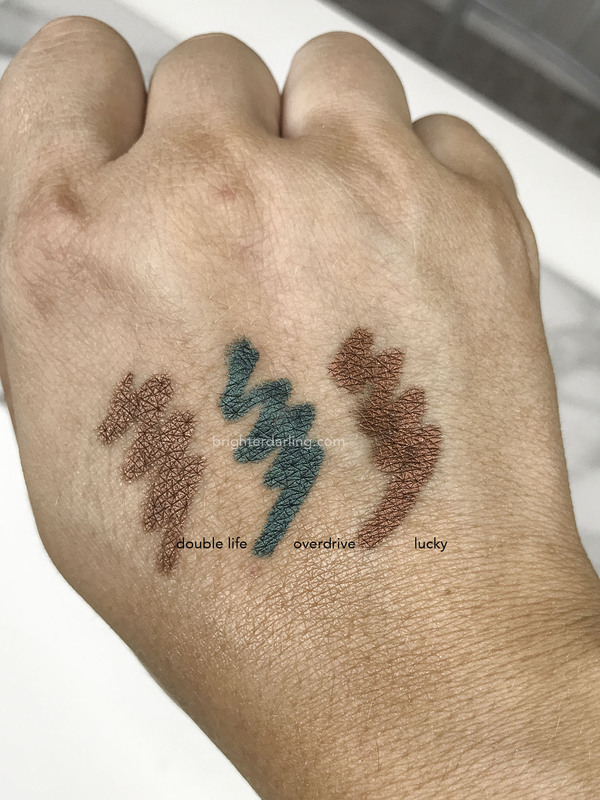 I love all three of the shades featured in this collection and think they complement the palette perfectly, however Double Life and Lucky are extremely similar so you may want to pick one or the other (I’d go for Lucky). The eye pencils do not have any unique packaging, and retail for $21 each. I was pleasantly surprised by this collection. Even though I initially thought I wouldn’t get much use out of the colors in the palette and felt it was too intense for my liking, I haven’t been able to stop reaching for it and have been continuously inspired to play with a little more color every day that I open it up. It’s not one of those palettes that have colors that intimidate me. It’s truly versatile in sleek, compact packaging convenient for travel – but also convenient for everyday life. 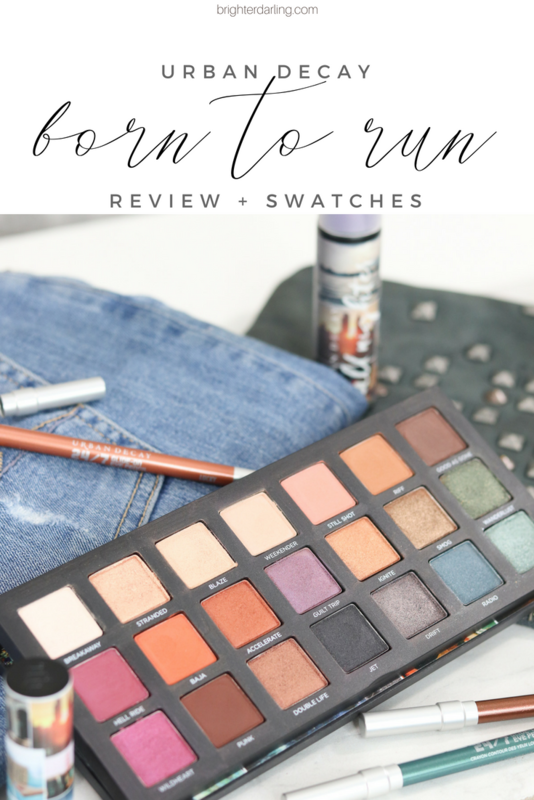 Although the lipsticks and eyeliners have consistent texture and pigmentation with all permanent Urban Decay colors, the stand out item is the Born To Run palette – hands down. My top favorites from the collection are the eyeshadow palette and the Lucky eye pencil. Have you tried anything from this collection or plan on it? Does Born To Run inspire you? Please share this review if you think it’d be helpful to someone you know. It helps me see what type of content my readers like the most (or dislike). "6 Neutral Nail Polish Colors That Match With Anything"